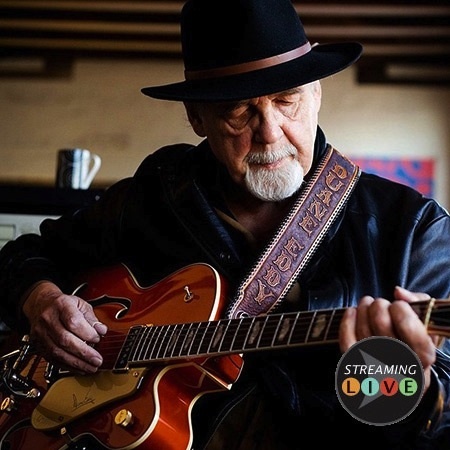 Rock ‘n’ roll guitarist Duane Eddy will be featured in the Nashville Cats program series at the Country Music Hall of Fame and Museum’s Ford Theater on Saturday (Jan. 23) at 2 p.m. The quarterly series celebrates prominent musicians in Music City. The program is included with museum admission and free to museum members. It will be streamed live at countrymusichalloffame.org/streaming. Hosted by Bill Lloyd, this program is presented in support of the exhibition American Sound and Beauty: Guitars from the Bachman-Gretsch Collection. It will include an in-depth interview illustrated with vintage recordings, photos and film clips as well as a performance by Eddy. Seating for the program is limited, and program passes are required for admittance. Immediately following, Eddy will sign limited edition, commemorative Hatch Show Print posters in the Museum Store. With his 1958 hit “Rebel Rouser,” Duane Eddy became an early rock & roll guitar hero. “Duane Eddy was the front guy, the first rock & roll guitar god,” said John Fogerty, one of thousands of musicians who credit Eddy as a chief influence. With millions of records sold worldwide and numerous awards and accolades, including multiple Grammys, to his credit, Eddy was inducted into the Rock and Roll Hall of Fame in 1994. Throughout its six-month run, American Sound and Beauty will be accompanied by public programs, including film screenings, instrument demonstrations, family activities and more.